Arsenal Ladies kept alive their slim hopes of securing the 2015 WSL 1 title with a gritty 3-1 win away at Sunderland, condemning the hosts to their fourth straight defeat in all competitions and ending their chances of reaching next year’s Champions League. In an even game played at an extraordinarily high tempo, Arsenal may see themselves as lucky to have come away with the three points as two of their goals were gifted to them by mistakes by the Sunderland defence, the first of which came after a quarter of an hour as a hoofed clearance from a Keira Ramshaw corner was missed by Abby Holmes, allowing the lively Jordan Nobbs to find Danielle Carter in the box. The forward’s shot was initially well blocked by a diving Tori Williams but unfortunately for Sunderland the ball squirmed its way into the path of Chioma Ubogagu, who had no problem tapping the ball into the net. Carter, bursting with confidence after her scintillating international debut in the week which saw her bag a hat-trick, was a constant source of threat down the Sunderland left in the first half and had a number of chances, including a shot on the stroke of half-time that was well saved by Hilde Gunn Olsen, recalled in place of the injured Rachael Laws. However it was her opposite number Beth Mead who managed to find the net for the Sunderland equaliser in the 22nd minute after a superb interception and through ball from Holmes. Mead still had plenty to do but her blistering pace allowed her to beat ‘keeper Sari van Veenendaal to the ball before rolling the ball into an empty net for her first goal since July. The first half consisted of a lot of very attractive football from both sides but this certainly diminished in a very rough and physical second half, with both Mead and Carter receiving lengthy attention after some very robust challenges. However it was a moment of quality that lead to Arsenal’s second goal as Alex Scott was played in behind the Sunderland defence by a delightful ball, which allowed the Arsenal captain to find Ubogagu with an inch-perfect pass. The American then placed the ball perfectly into the corner of Sunderland’s net to give her side a 2-1 advantage. Despite this, Sunderland showed the team spirit that has endeared them to all fans this season. Rather than letting this setback stop them playing their football, ‘The Lasses’ hit back hard as, spurred on by another vocal crowd, they pressed to find a second equaliser. Arsenal midfielders Nobbs, Natalia and Vicky Losada, who had seen plenty of the ball up to this point, were squeezed out of the game as the terrier-like Rachel Furness and Kelly McDougall closed down the space down to try and force their opponents into a mistake. When they got the ball, wingers Abbey Joice and Ramshaw caused all sorts of problems and Mead, as she has been all season, was giving the centre backs a lot to think about. Credit must go to Arsenal though as not only did they withstand all that the home team threw at them, they also put the game to bed after 76 minutes as a poor clearing kick by Olsen, who had had a solid game up to this point, went straight to Natalia before the Spaniard beautifully lobbed her to make it 3-1. 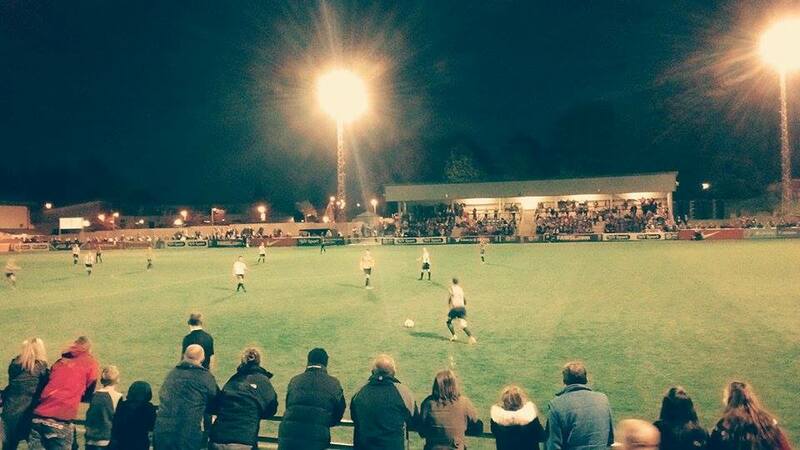 The final home game of the season for ‘The Lady Black Cats’ drew a fantastic crowd of 1,166 who cheered their team right up until the final whistle and beyond, including giving left back Victoria Greenwell a rousing reception as it was announced that she will retire after next weekend’s visit to Chelsea. Although they may have faded away at the end of the season, Sunderland have been a breath of fresh air in the WSL and fully deserve their place in the league next season. As for Arsenal, they will be waiting with baited breath to see whether they have a chance of winning their third WSL title as a Chelsea draw today against reigning champions Liverpool would all-but-end their chances.